Connect with the passionate Spartan Community all around you. The new Spartan Race community app is a great way to learn about upcoming races, post epic photos and videos, and participate daily in the Spartan Race lifestyle. Spartan Race is a lifestyle. It is a choice to keep challenging yourself, and a way to build meaningful relationships with people who care. Approach the app like you approach a race: in full-stride. 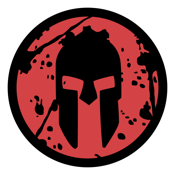 Start posting photos, let others know your new Spartan Race profile name, and be sure to use the social features to help spread the word.